With more than 1000 islands to explore, its no surprise that the crystal clean waters, stunning national parks and exceptional hospitality that Croatia is one of the worlds most popular destinations. The intriguing coastline of the Adriatic Sea is mostly rocky outcrops, scrub and various sorts of pine or cypress tress, but this extraordinary landscape combined with the natural white rock sunbathing terraces and clear turquoise waters create a totally unique experience. Plunging into the warm waters for a swim or snorkel to discover the underwater activity is simply breathtaking. Croatia has more than 1185 islands to explore that over the years have been claimed by conquerers for their natural beauty. On the island of Porec, you can visit the largest and most important Byzantine church outside of Italy. Whilst one of the best preserved Roman amphitheatres can be found in Pula. 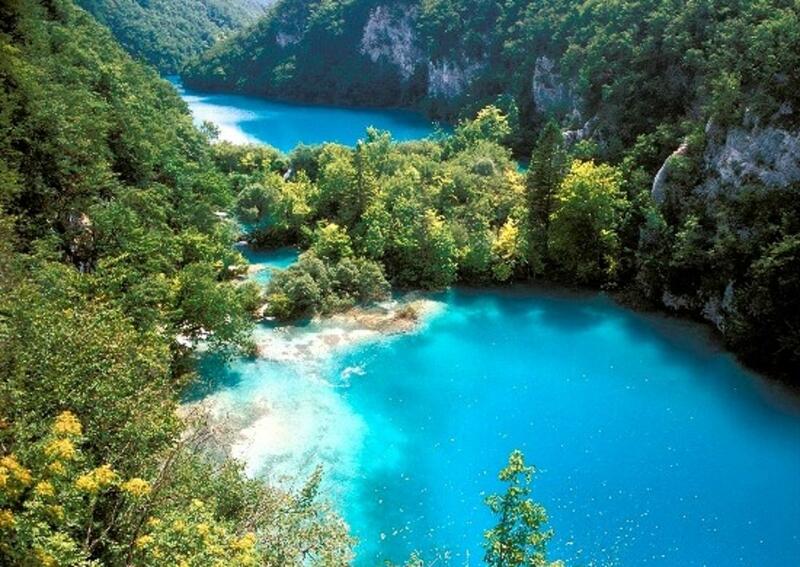 The most popular islands are Brac, Hvar and Korcula which are found in the south of Croatia. 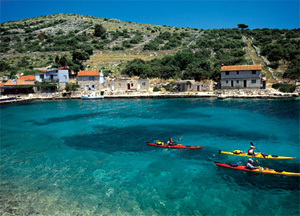 Brac has an abundance of olive groves and lemon trees surrounded by crystal clear waters. Hvar which is often referred to as the St Tropez of region has attracted the yachting crowd for decades due to the historic old town and scenic coastline. Water sports enthusiasts will enjoy their Croatian holidays at Zlatni Rat on Brac’s southern coast. It is considered one of the best windsurfing destinations in the world and caters to water skiing, wakeboarding, jet skiing, parasailing, scuba diving and sea kayaking. 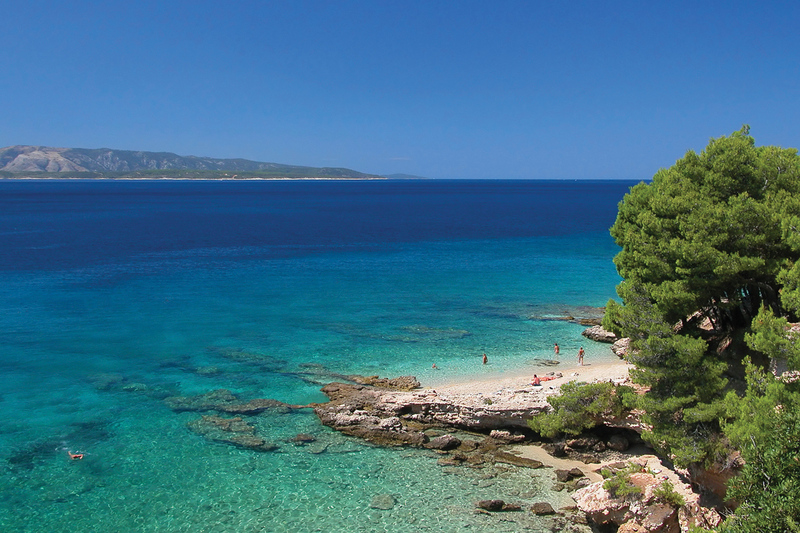 Nudists can enjoy complete freedom at some of Rab’s Kandarola beach, while taking a trip down to the historic Rab Town featuring medieval stone buildings and Romanesque towers. The islands are best explored by boat, it is a haven tranquility that can be found in secluded coves, sparkling waters and positively beautiful rugged landscape. Ashore you explore the cobblestoned streets of old towns and the harmonius balance between coastal livibg and agriculture. 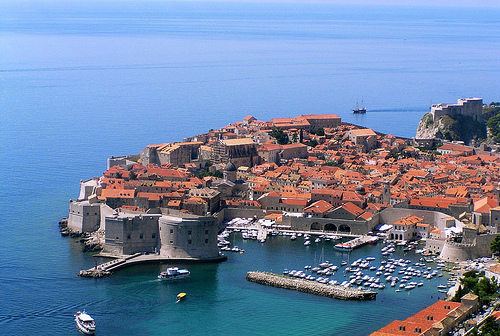 A must see is the Dubrovnik old town with its fortress like walls and polished cobblestone streets. Dubrovnik: This ancient city was built on maritime trade, and is reputed to rival Venice in both beauty and culture. You can enjoy the stunning architecture of the city’s monasteries, museums, churches and fountains, as well as the relaxing atmosphere of Lapad and Banje beaches. 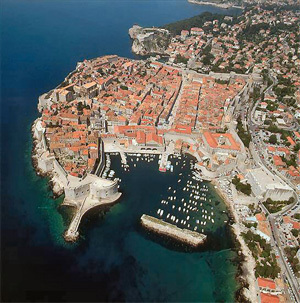 Walk atop the famed city walls that have surrounded Dubrovnik for centuries. While you’re in Dubrovnik, take some time away from your bareboat Croatia tour to visit little-known destinations such as the Elaphiti Islands, the Peljesac peninsula, Korcula Island and the Konavle Valley.